Can I make you some records? The answer is yes, time permitting. The best thing to do is contact me @ barryjames@macforcego.com I'd be glad to answer any questions. If you'd like some more options lets talk. I'm still learning all the ways to make unique records on this lathe. Color records and picture disks are possible, but I'm still learning those methods. Cutting these records are very time consuming, turn around times may vary. I promise to do the best job, in the quickest time possible. This is a project I recently did for synth pop duo Camp Crush! I cut the record, and did the labels. They did a great job of designing the cover. Longview doom metal band Something With Teeth sold all theses before i could even put one on my site. My first black records. Mr. Mick Schafer is a local Gypsy Blues man. He’s a righteous dude and loved what we did here. Salem punk rock-n-roll outfit did a run of 15. They posted em on facebook and sold all copies before there release show. I can do 8" square (The Sea and the Mother is a 8" square) or traditional 7" round. I can fit a little more time on an 8" (close to 5:00). Things to know; It will be in mono. It will be a little quieter than a pressed records. I care, and will make sure your record sounds as good as humanly possible. I want you to be excited about what you get, something you'll be proud of. I currently only cut at 45rpm. I can only use a small center hole. Length of song per side for a 7 inch record is around 4:00 (give or take a second). 5:00 minutes + on the 8" square. I use a clear 8 inch square piece of polycarbonate. On that square will be a round record. It’s a very unique looking record. If you look close you can see below what I’m talking about. 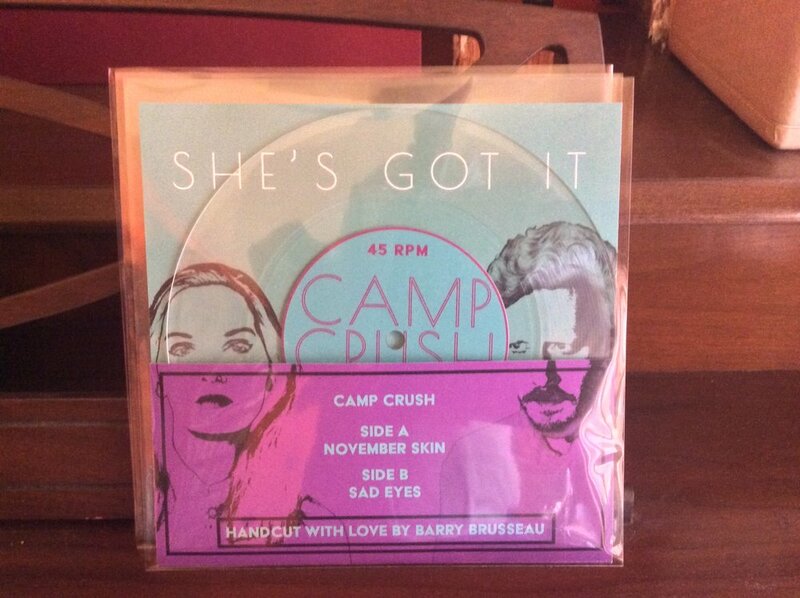 15 lathe cut 7” records. Full color labels. Two sided. Cut on clear polycarbonate.